I couldn’t resist having one last shot at Ailsa’s Travel Theme challenge which this week is all about Trees. 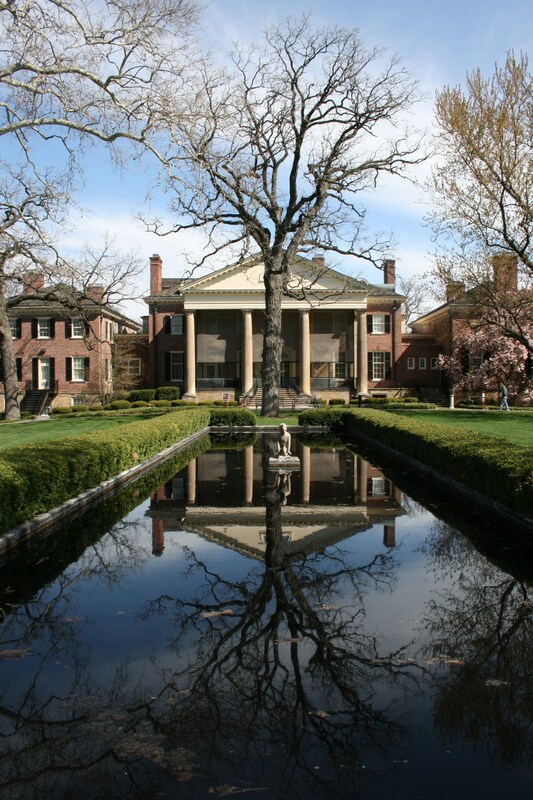 I captured this image yesterday at Cantigny Park in Wheaton and, although initially I was hoping to make the house the focal point of the picture and was disappointed that the tree was slap bang in the middle of things, I realized when I looked at the results that things weren’t so bad after all. The Weekly Photo Challenge on The Daily Post this week is Motion and for this theme I’ve decided once again to use b/w images in order to put more emphasis on the topic rather than the colors. I’ve also tried to show just enough blur in the pictures to demonstrate motion without having the subject totally unrecognizable. 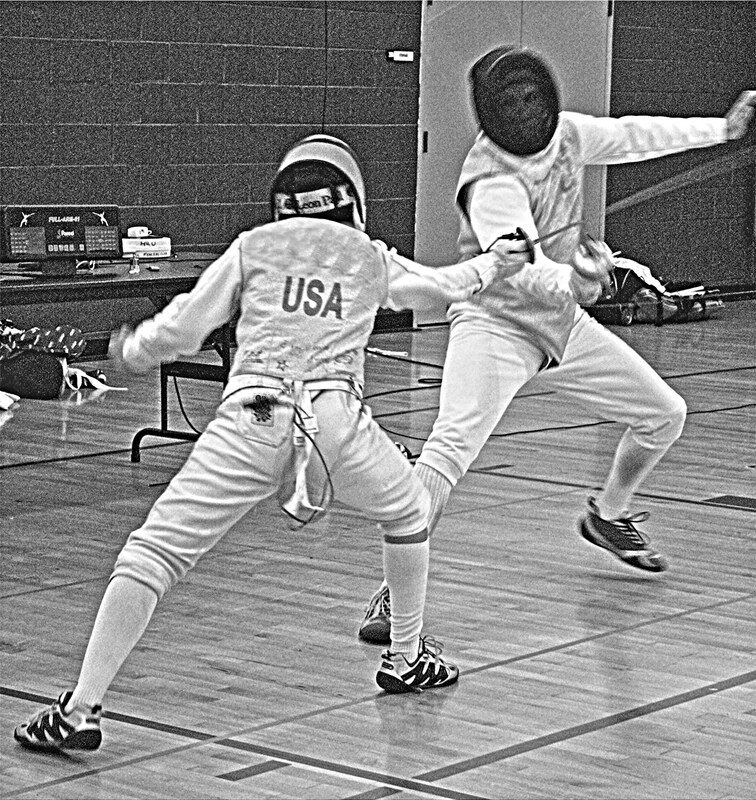 How I miss competing in this sport but advancing years, the loss of most of my fencing equipment in a flood and various medical issues have me thinking that this kind of motion is no longer in my picture. Now I can only stand on the sidelines at capture the moment on camera. 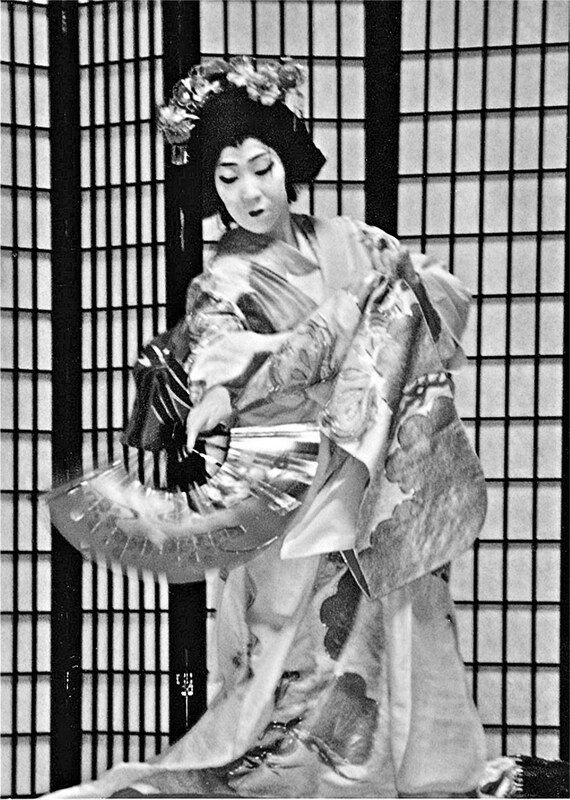 A little bit of fan-twirling going on here as one of the performers at the Japan Festival in Arlington Heights goes through the motions of a very graceful dance. 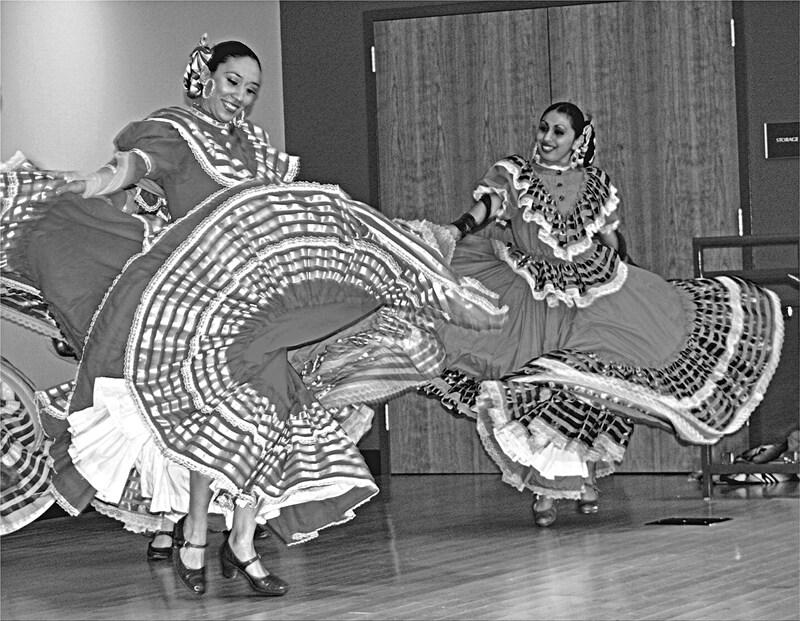 Continuing with the twirling theme, dancers with Ballet Folklorico throw all their energies into the performance; definitely motion with emotion. 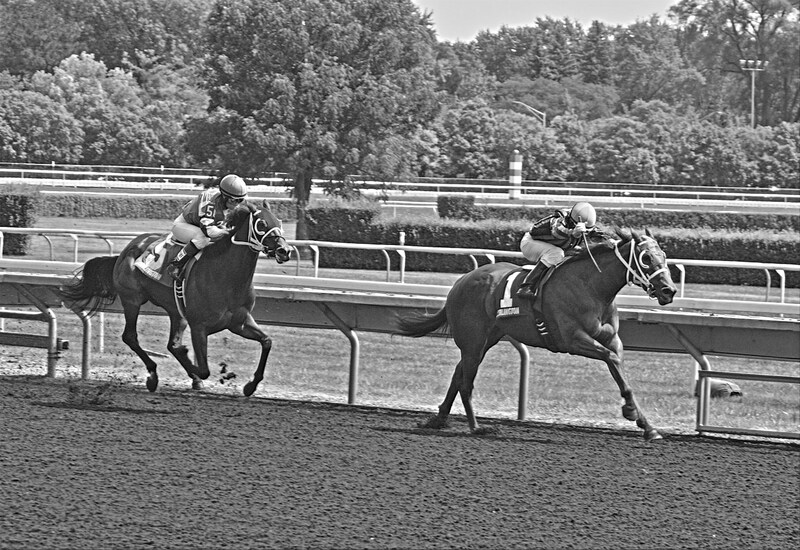 Horses in full motion, racing for the finish line at Arlington Park. 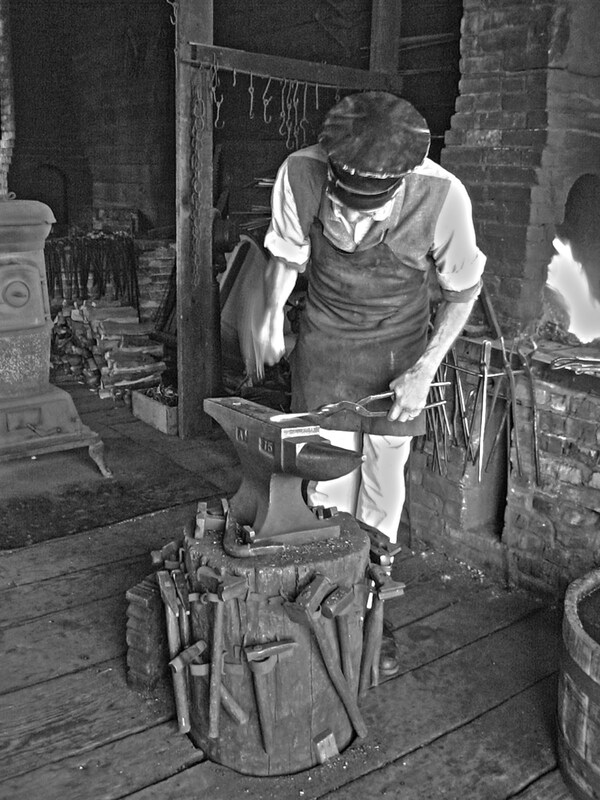 A blacksmith working at his anvil in Old World Wisconsin. 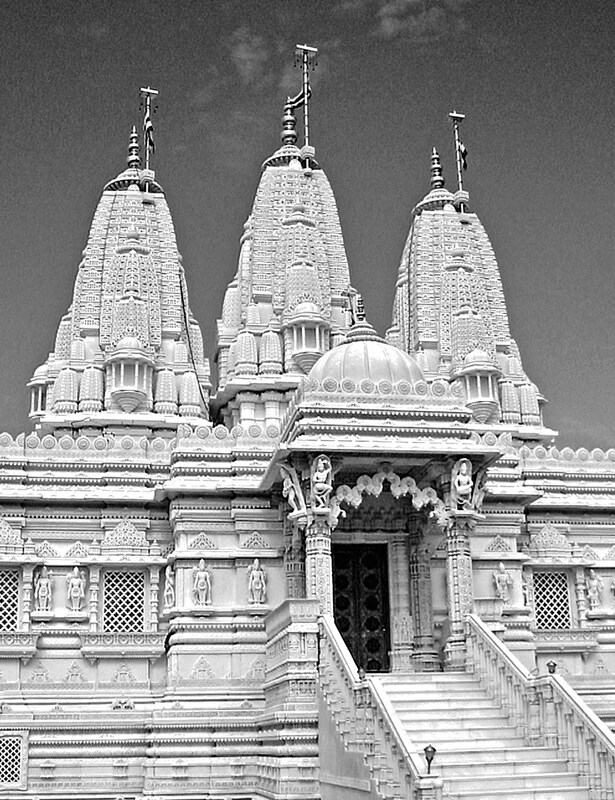 Ailsa’s Travel Theme challenge this week is Center. Here is my interpretation of the theme. 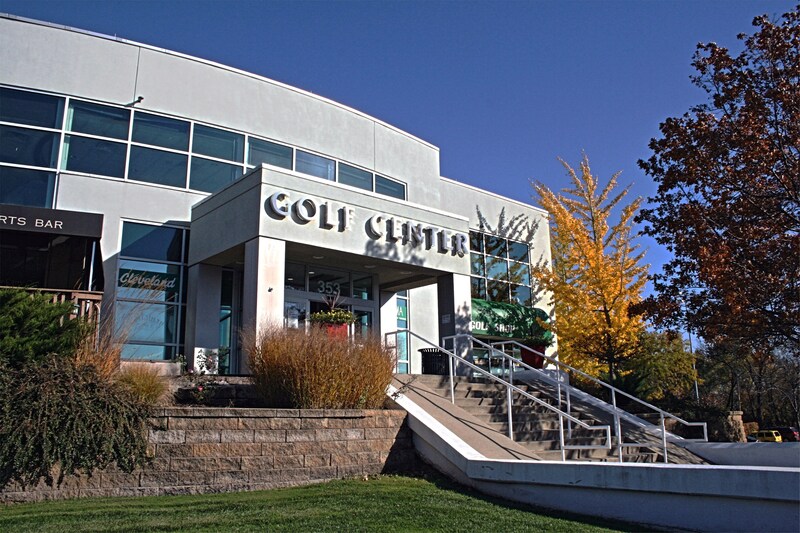 The Golf Center in Des Plaines, Illinois. 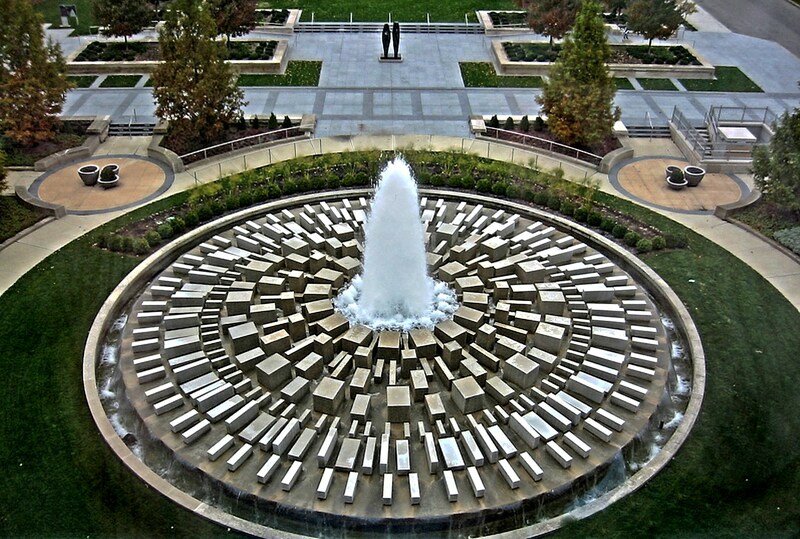 Looking down at the center of the Sutphin Fountain at the Indianapolis Art Museum in Indiana. 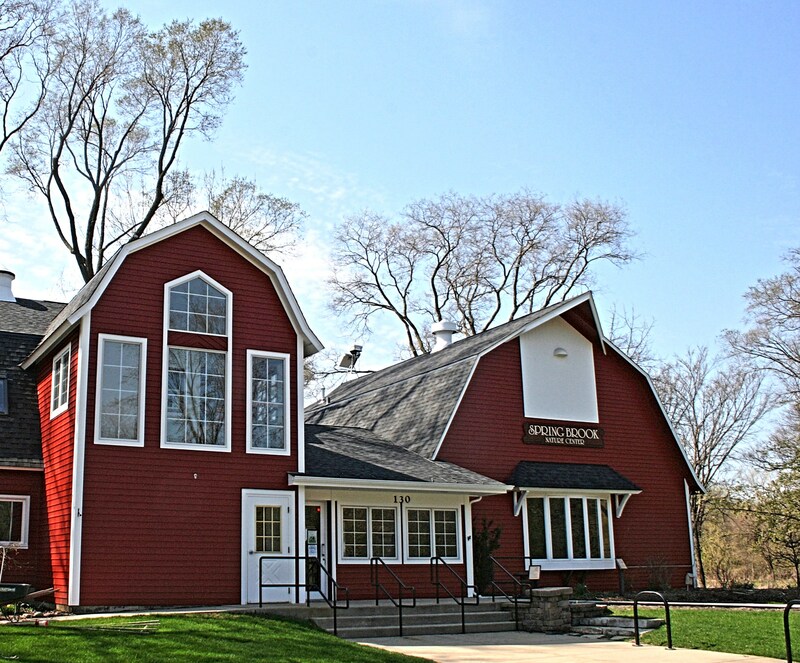 Springbrook Nature Center in Itasca, Illinois. I am definitely NOT a morning person. Looking over my digital photo files it’s clear from the available data that almost none of the images were captured before 8am. One of the few exceptions is this picture taken at 7:48am as we were driving through Custer State Park in South Dakota. It’s not that I don’t enjoy being up and about at the crack of dawn. When I am, I usually think to myself, “This is great! I should do it more often!” But doing and saying are two entirely different things. 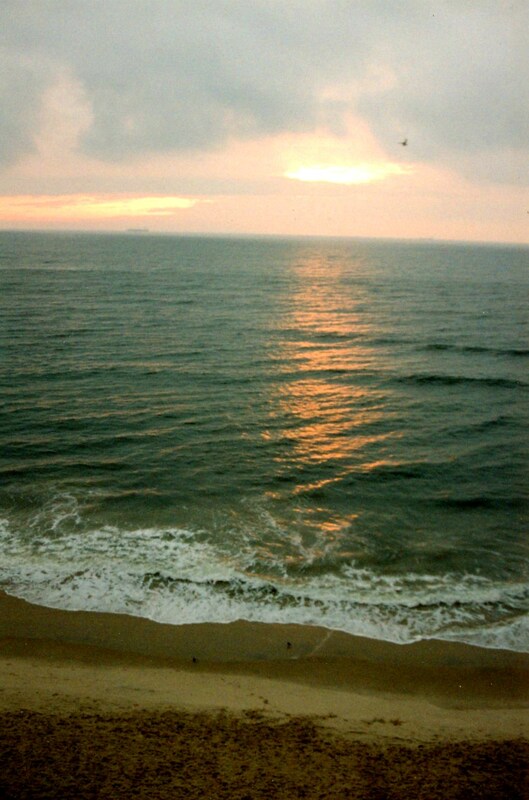 Going back to the pre-digital photo files, I’m pretty sure this one was taken quite early in the morning at Virginia Beach. We had arrived the day before on the heels of a tornado, literally. The drive in had been long, hazardous and nerve-wracking and by the time we arrived at the hotel we were exhausted. But you know how it is. Sometimes you get over-tired and just can’t sleep. After a restless night I was happy to just get up, go out on the balcony and get some fresh air. This was the sight that greeted me. Not that I haven’t had to get up with the lark out of necessity. Many years ago when I worked for a flower wholesaler the hours were brutal! We needed to get the flowers processed and out the door while they were still a damned-sight perkier than I felt. Anyone who tells you that working with flowers is fun hasn’t stood for hours on end stripping thorns from rose stems! 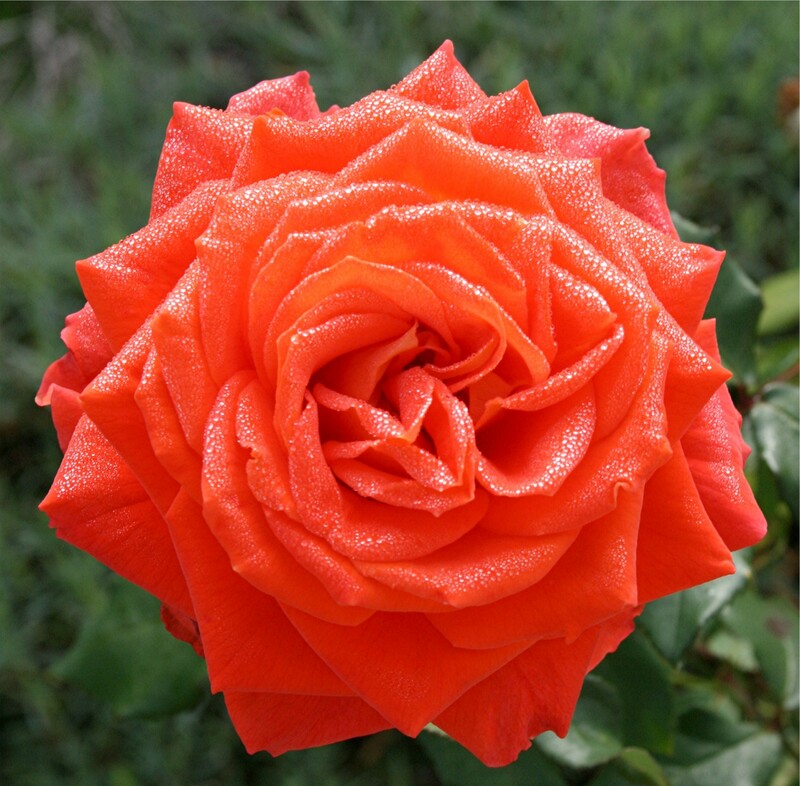 I much prefer the roses that grow in my garden, such as this one pictured at 7:41am. Sorry folks! That’s as early as this bird gets! Afloat, but only just. 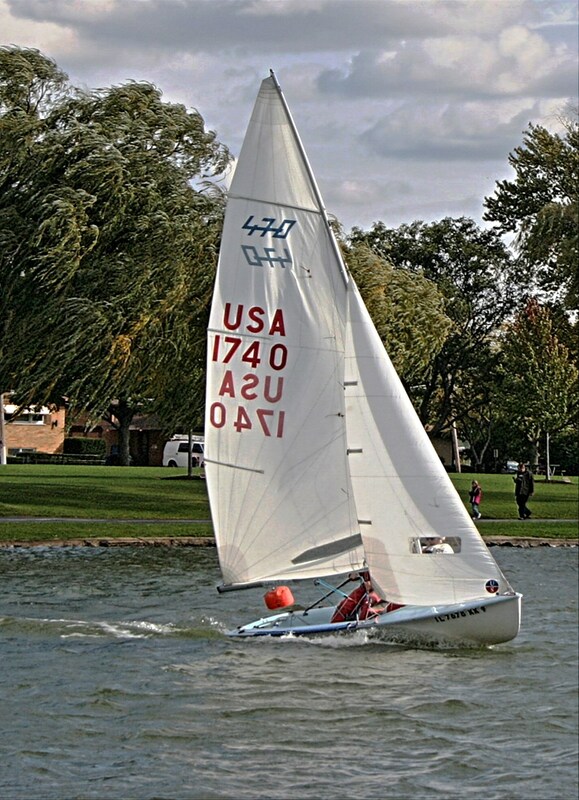 Members of the Des Plaines Yacht Club encounter some choppy waters during a series of races on Lake Opeka but thanks to some skillful sailing manage to stay afloat. 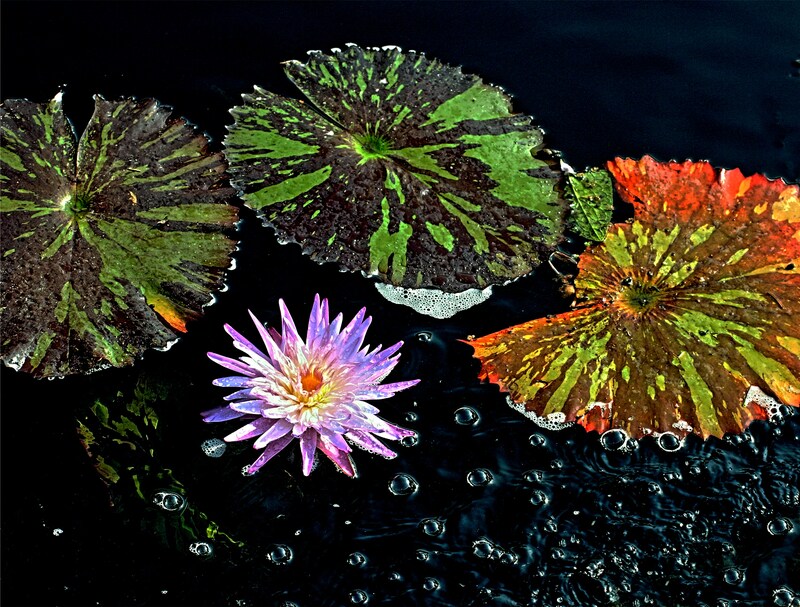 Leaves, flowers and bubbles all afloat in the Heritage Garden at the Chicago Botanic Garden. 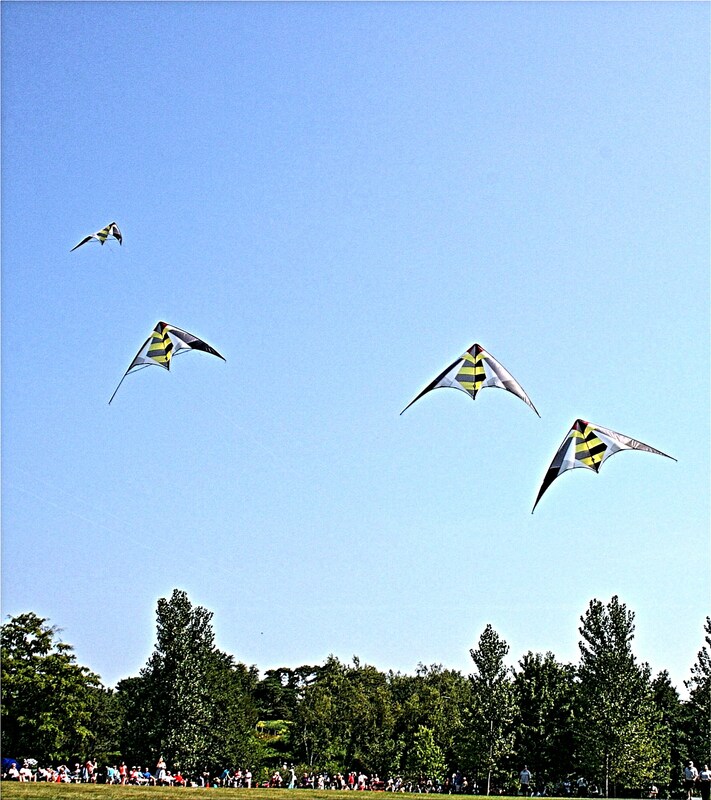 Like a swarm of angry bees, kites float above a field of spectators at the annual Kite Festival at the Chicago Botanic Garden. 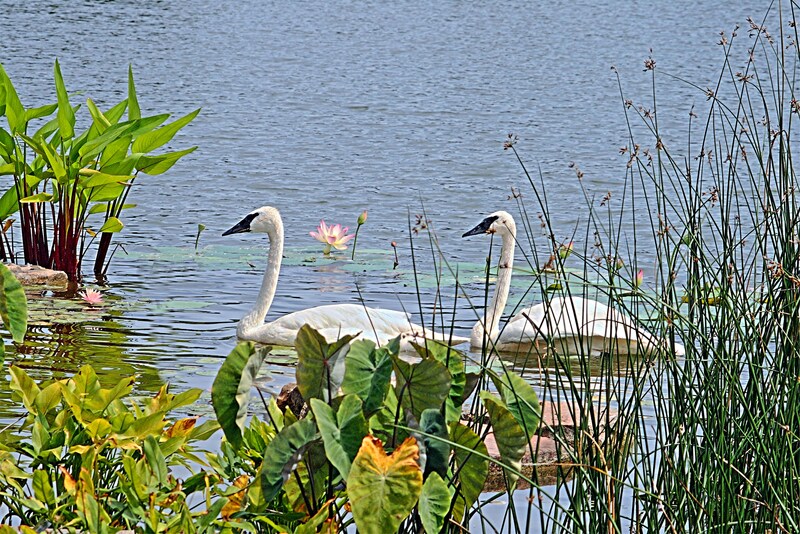 Two stately swans afloat on the waters off Evening Island in the Chicago Botanic Garden. Thanks, Cee! I have plenty of those in the photo files. For some reason I can’t resist taking pictures of churches. 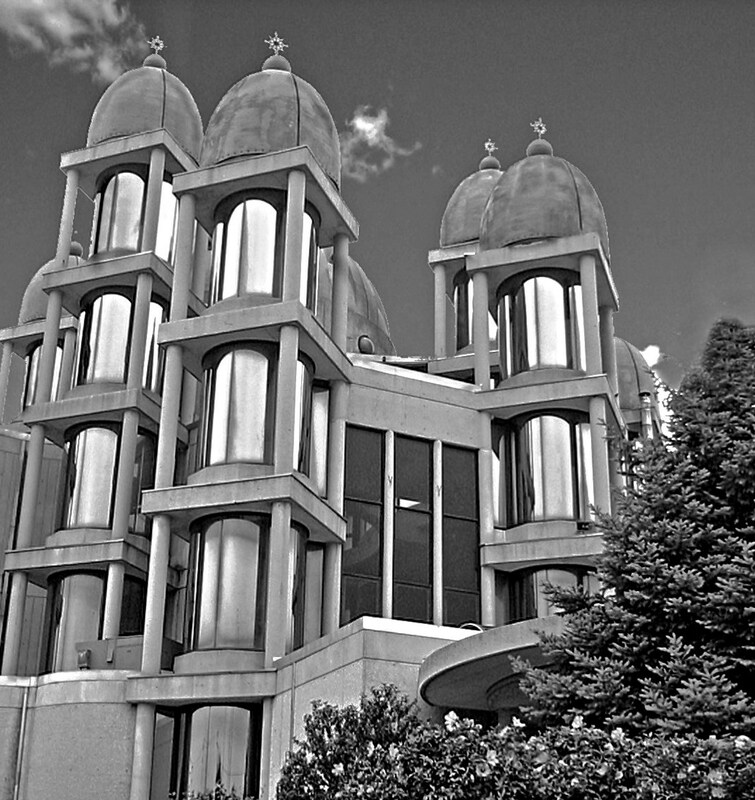 I thought I would use these b/w images, letting the stunning architecture speak for itself without the distraction of color. St Joseph The Betrothed, Ukrainian church in Norridge, Illinois. 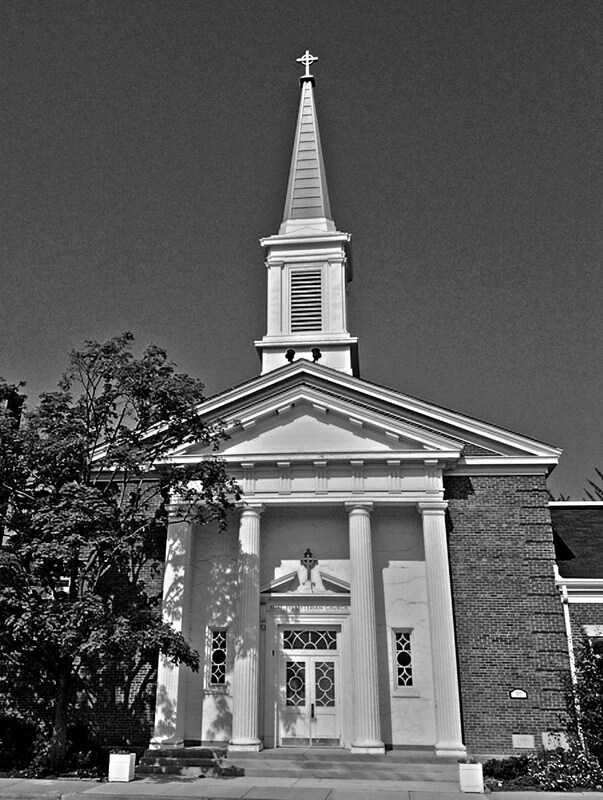 First Presbyterian Church in Arlington Heights, Illinois. 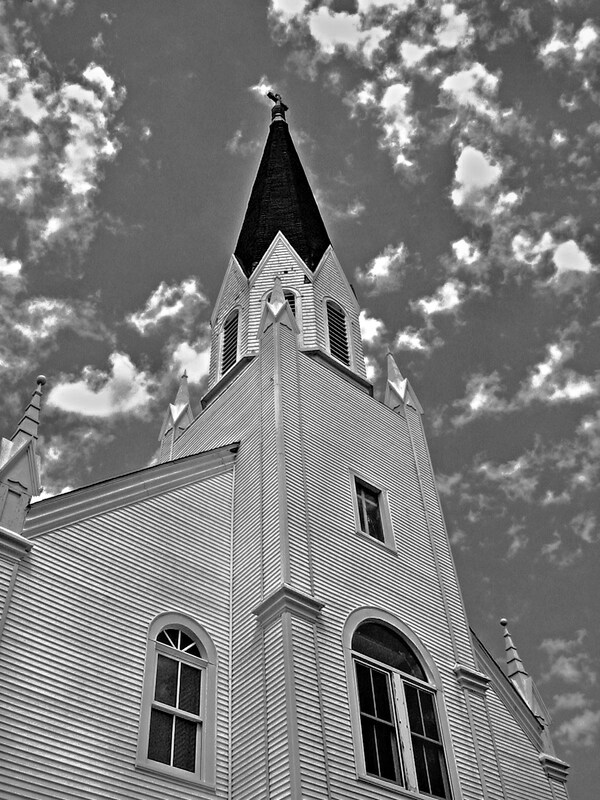 Itasca Baptist Church in Itasca, Illinois. 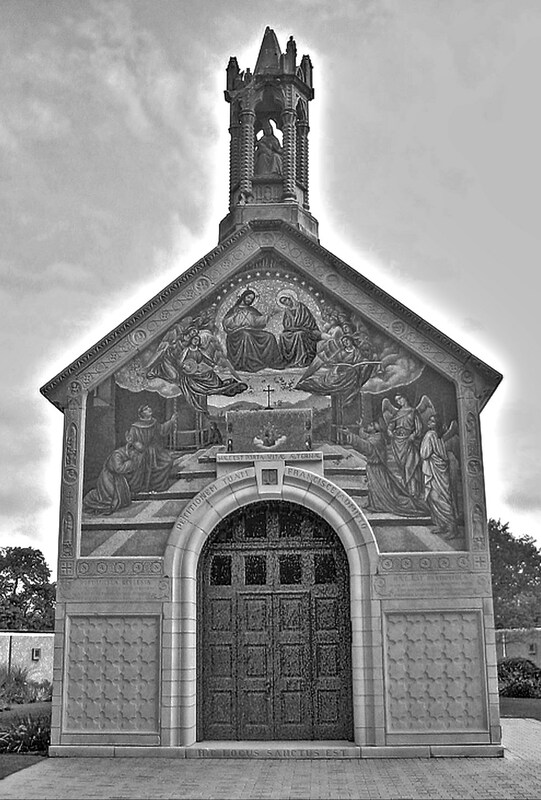 The Portiuncula Chapel on the Peabody Estate in Mayslake, Illinois. 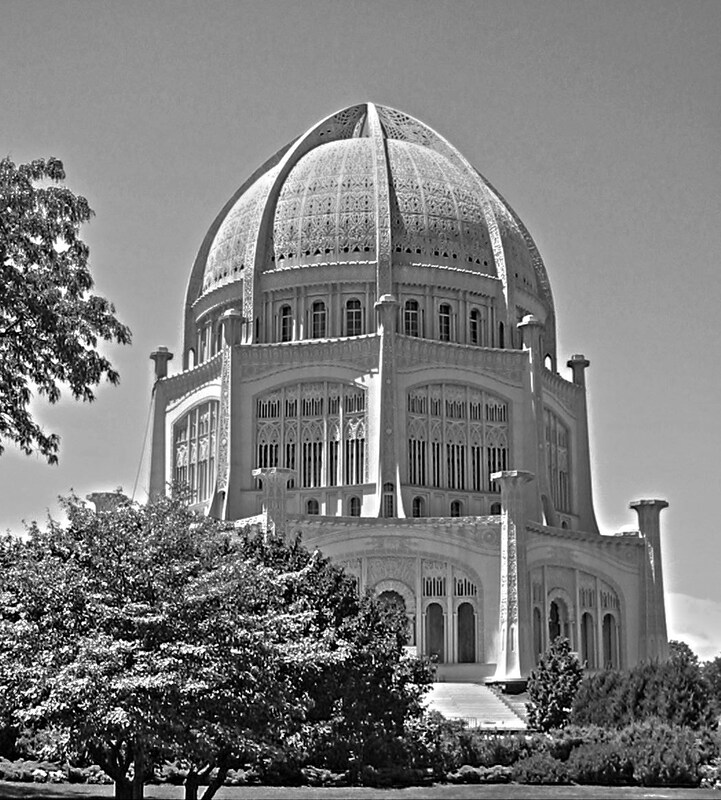 The Baha’i House of Worship in Wilmette, Illinois. 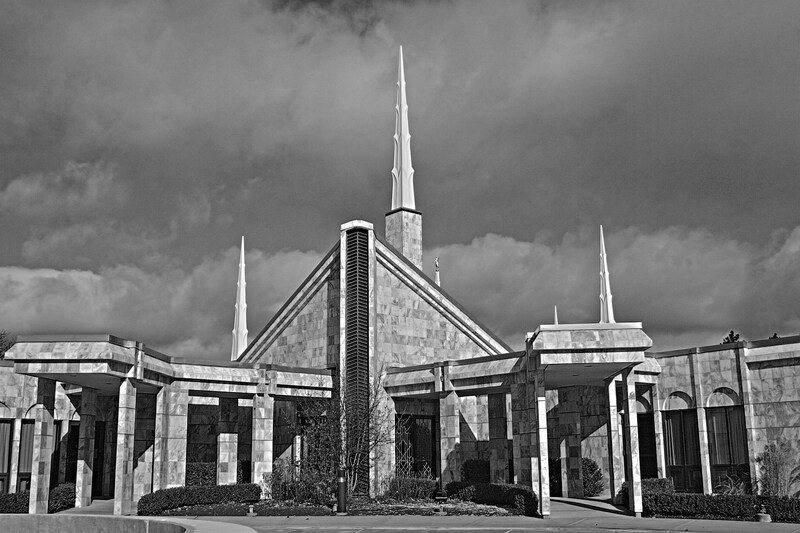 Temple of The Church of Jesus Christ of Latter-Day Saints in Glenview, Illinois. 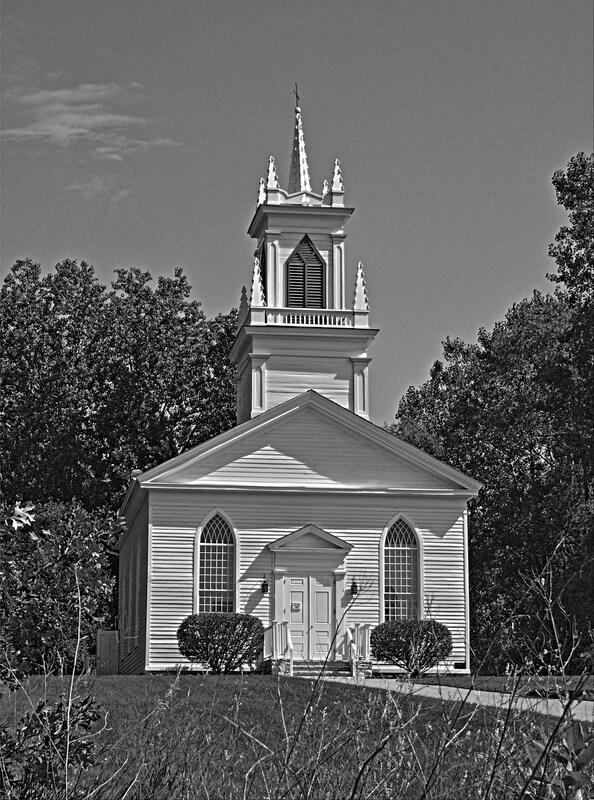 The Moravian Church at Heritage Hill State Historical Park in Green Bay, Wisconsin. Cee has set us quite a challenge this week with the subject of Colorful Monotones. Looking through my picture files it seems that there are very few images there that are limited to only one color. I hope the following shots fit the bill. 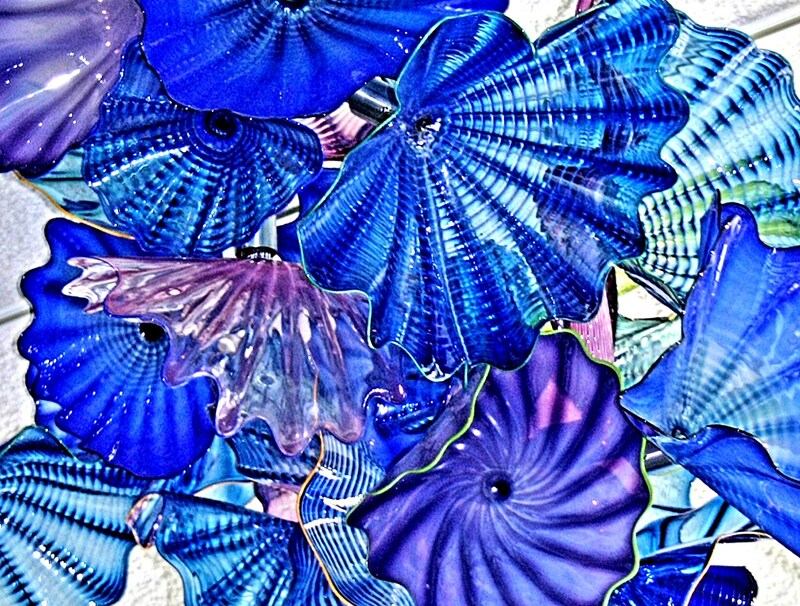 Chihuly glass artwork at the Fredrik Meijer Gardens in Grand Rapids, Michigan. Unfortunately these beautiful pieces were hanging from the ceiling in the restaurant so it was rather difficult to get a clear shot without looming over someone while they were eating lunch. 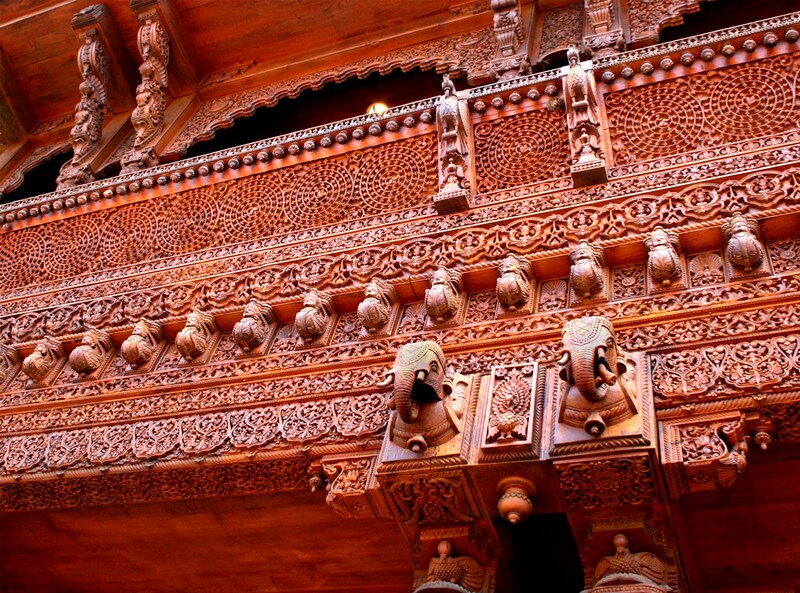 Details from the gorgeous wooden façade of the Hindu Temple in Bartlett. 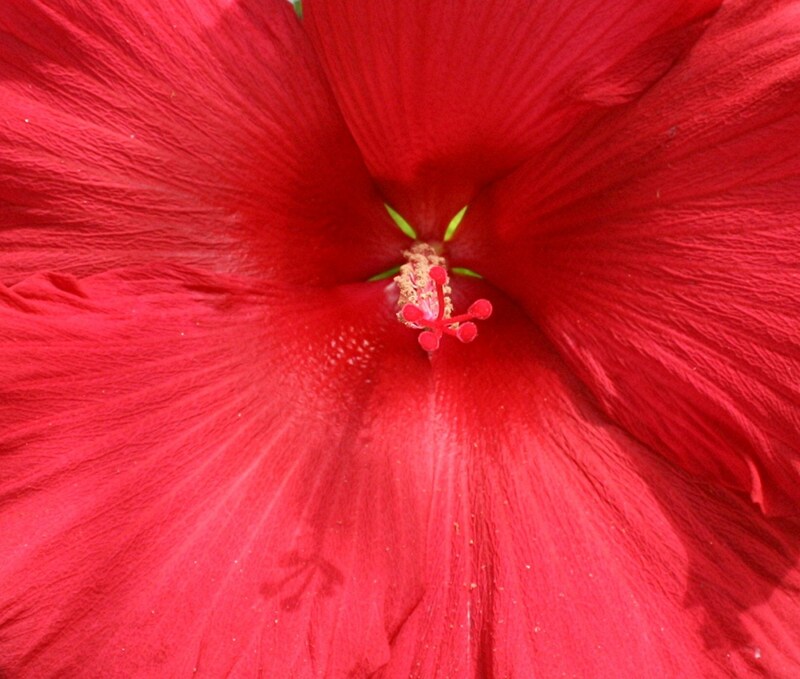 One of the many stunning flowers on Evening Island in the Chicago Botanic Garden. For more on Cee’s Fun Foto Challenge go to http://ceenphotography.com/2015/03/31/cees-fun-foto-challenge-colorful-monotones/ where Cee has posted some lovely examples of Colorful Monotones.